Last week we felt our first glimpse of British Summer, the temperature reached a scorching (for the UK!) 27 degrees, and everyone went into meltdown. Fluffy jumpers and puffer coats were now packed away and everyone started debating if flip flops were socially acceptable to wear to work. Probably not. The good weather brought most people down to the local pub to enjoy a nice Kopparberg in the sunshine. All three days of it. But what exactly are millennials drinking these days? And what are their attitudes to alcoholic drinks? A new report from YOUGOV has found that the majority of those consuming beer and cider are in fact millennials, with 63% being male. The brewing industry has experienced many changes in recent years, from pub closures and the increase in at-home drinking – to the rise of microbreweries and cider undergoing an image revival. 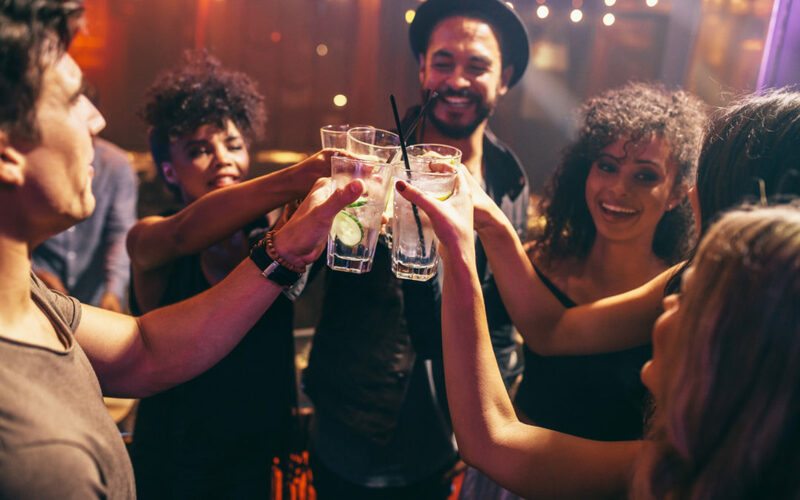 The report found the drinking habits of millennials meant that when drinking out, it’s most likely to be after work drinks with colleagues, regular night out, going to a live night or catching up with friends. Women also represent a big market to brewers and in recent years, some brands have attempted to market beer and cider that is aimed squarely at females. However whilst many millennials are considered pub drinkers, recent figures from the British Beer and Pub Association show that the sale of beer in shops now outstrips sales in pubs. There are many demographics between the two but the striking one’s are home drinks are more likely to have children and more likely to not be working. Whilst pub drinkers are more likely to be single and retired. It’s not all about beer and cider this summer for millennials, this week Tesco released a range of smaller wine bottles in a bid to appeal to health conscious millennials. The smaller bottles come at a convenient time, with Brits drinking less than ever before according to figures from the Office for National Statistics. The rise of teetotalism is particularly prevalent in young adults, with more than a quarter (27 per cent) of 16 to 24-year-olds abstaining from alcohol completely.This figure has risen substantially in the last decade, when 19 per cent of those in that same age group said they didn’t drink alcohol. Meanwhile, one in five Brits of the broader adult population do not drink, with the proportion of adult drinkers at its lowest level since 2005. Despite the warmer weather bringing friends to the local for a drink in the sunshine, millennials are becoming more conscious about how much alcohol they are consuming compared to other generations. Whilst the weather since has been verging on arctic, good news is on the horizon. Bank holiday weekend is said to be another scorcher, so whether your heading to the pub with friends, having a non alcoholic bev at home or unfortunately working, it’s only one month till Love Island is back on our screens. Not like we’re counting or anything.